Nearly 800,000 people suffer from strokes each year in the United States and administering an anti-blood clot drug called tissue-type plasminogen (tPA) must be done within minutes or else the consequences can be devastating. To combat this, new mobile stroke treatment units in Germany and the U.S. with mobile computed tomography (CT) scanners are available for emergencies and can take brain images within two minutes. According to the Center for Disease Control, effective stroke treatments need to be administered within 3 hours of a patient’s first symptoms – or else they could run the risk of losing millions of brain cells that can lead to long-term disability. Furthermore, strokes kill nearly 130, 000 people in the U.S. each year. However, delays in traffic, long waiting lines at the hospital and time-consuming brain scans mean that most stroke victims actually might miss this window of opportunity. With the help of a mobile stroke treatment unit with specialized medical equipment, patients can receive a speedy CT scan, have their data wirelessly sent to be analyzed by a trained neurologist and be given a specific treatment needed to ensure that lasting brain damage does not occur. 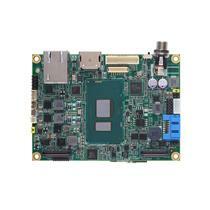 This new technology can be accomplished through the use of Pico-ITX motherboards (PICO500 and PICO300) or COM Express (CEM500) embedded motherboards with high performance Intel® Core™ family processors – which provides these mobile units with the high processing power needed to perform demanding actions like initiating a brain scan in a short amount of time or wirelessly transmitting data for analysis back to a hospital. These embedded motherboard product lines are known for their small form factor, enabling them to work perfectly in a space constricting mobile stroke treatment unit. These embedded motherboards are also highly durable and robust, featuring extended operating temperature ranges for operational stability in hazardous environments. Furthermore, mobile stroke units can utilize medical-grade panel PCs or all-in-one touch panel PCs as human machine interfaces, allowing healthcare professionals to gain easy access to patient information and as a tool for showing diagnosis results. Axiomtek's advanced embedded motherboards and medical-grade touch panel PCs designed for use in medical industry applications. Axiomtek's embedded motherboards feature high performance CPUs, extensive storage capabilities, and various form factors to satisfy the complex needs of the medical industry. 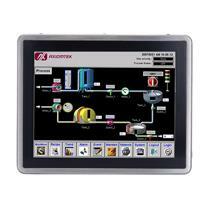 Axiomtek’s MPC and touch panel PC products are designed for HMI use and feature options for resistive or capacitive touchscreens, enhanced graphical display, wireless communication options, water/dust-proof designs, and various screen sizes. Axiomtek also provides design assistance services that can help many engineers and IT professionals who desire trouble-free turnkey solutions as well as quick and successful deployment of their projects. Axiomtek's design assistance team can help take away the various headaches associated with a project's development and deployment processes. 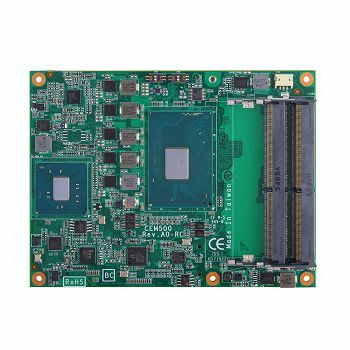 The CEM500 is a COM Express Type 6 basic module based on the 14nm 6th generation Intel® Core™ i7/i5/i3 and Celeron® processors (codename: Skylake-H) with Intel® QM170 chipset. The outstanding Intel® Gen 9 HD Graphics enables the CEM500 driving multiple 4K displays without the need of a discrete graphics card. Two DDR4-2133 SO-DIMM supporting up to 32 GB system memory capacity and four SATA-600 with RAID 0, 1, 5, and 10 are available. 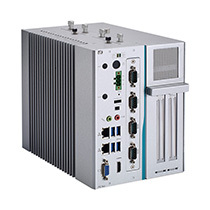 Additionally, the COM Express Basic Type 6 system-on-module supports an industrial operating temperature range of -40°C to 85°C for applications in extreme harsh environment. 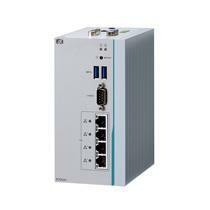 The Intel® CoreTM-based CEM500 is targeted at telecommunication, medical imaging, digital signage, gaming machines, military, human machine interface, industrial automation controllers and IIoT applications. 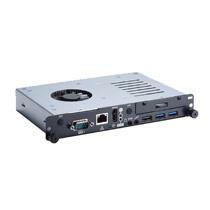 The PICO300, an extreme-compact fanless pico-ITX motherboard, is built with the Intel® Pentium® N3710 or Celeron® N3060 processor (codename: Braswell SoC). 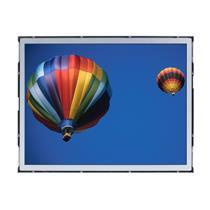 One SO-DIMM socket is provided to support up to 8GB of DDR3L-1600 memory. 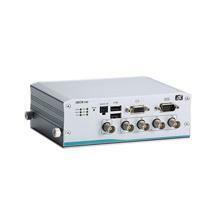 The PICO300 is supported in dual display configurations along with one 18/24-bit single/dual-channel LVDS and a choice of VGA or HDMI. 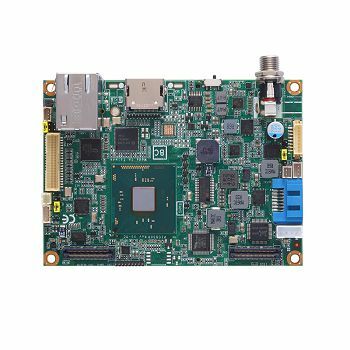 Furthermore, the tiny 2.5” pico-ITX embedded board features Intel® integrated Gfx graphic engine to build excellent media and graphics performance capability. 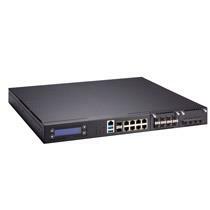 In addition, the compact size of the pico-ITX form factor also makes the PICO300 suitable for space-constrained embedded applications. 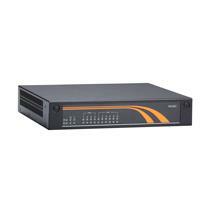 It runs fanless operation, and supports -20°C to +60°C operating temperature. 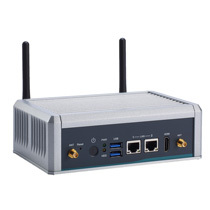 Combined all features as above, the PICO300 is ideal for any media editing, imaging, graphics and video intensive applications that be applied for a wide array of industrial IoT industries. The PICO500, an extreme compact pico-ITX embedded board, supports the latest 14nm 6th generation Intel® Core™ i7/i5/i3 processors (Codename: Skylake-U). The tiny PICO500 is equipped with one DDR4 SO-DIMM with up to 16 GB memory capacity. Integrated with Intel® HD graphic engine, the Pico-ITX motherboard supports HDMI and 18/24-bit dual channel LVDS that delivers a whole new level of Ultra HD 4K visual experiences. 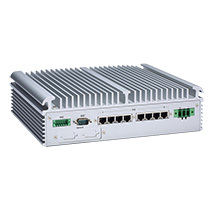 Its Pico-ITX form factor allows for an extremely compact performance system; meanwhile, the PICO500 is built to withstand wide temperature conditions, ranging from -20°C to +70°C (-4°F to +158°F) with active thermal solution. 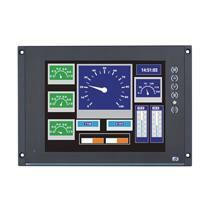 The new MPC153-834 is equipped with a 15.6-inch WXGA TFT LCD display with high brightness of 300nits. Specifically designed for the medical environment, the medical panel PC has IPX1 compliant chassis and IP65/NEMA 4 rated spill and dust-resistant front panel. 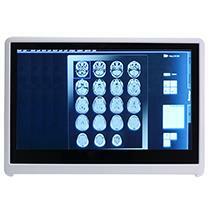 Moreover, the wide-screen medical touch panel PC is equipped with an isolated COM port to protect equipment from electrical surges and transient voltage spike. 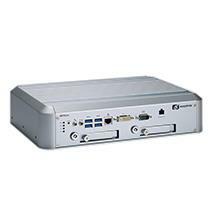 Powered by quad-core Intel® Celeron® processor J1900 (codename: Bay Trail), the powerful 15.6-inch MPC153-834 is an ideal choice as a point-of-patient-care EMR computer, enabling health care professionals to access patient records whenever and wherever needed. 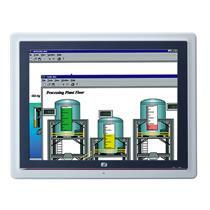 The GOT5153W-834, a 15.6-inch WXGA TFT LCD fanless touch panel computer supports the high performance Intel® Celeron® J1900 quad-core processor. 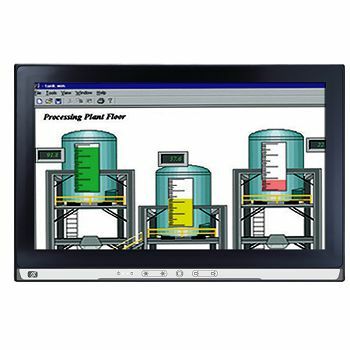 This all-in-one industrial touch panel PC has a stylish and slim industrial design with a 59 mm thickness, allowing for easy installation in a space-constrained environment. The GOT5153W-834 has the IPX1-compliant chassis and IP65-rated spill and dust resistant front panel to ensure the system operates reliably and stability in harsh environments. 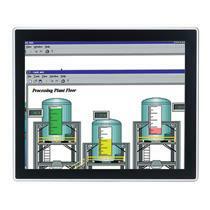 With a patented chassis, the touch panel PC offers an excellent thermal solution that dissipates heat efficiently. 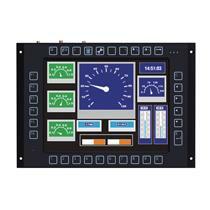 The widescreen panel computer has five membrane switches on its front panel, aiming to provide end-users with enhanced convenience for control of the system’s LCD on/off function, brightness, volume setting and more. 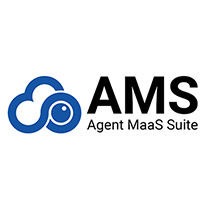 With all of these features, this sleek and feature-rich system is ideal for a variety of applications including human-machine interface, digital signage, hotel/airport check-in/out kiosks, self-service restaurant’s ordering stations, building visitor controls and any IoT-related applications.